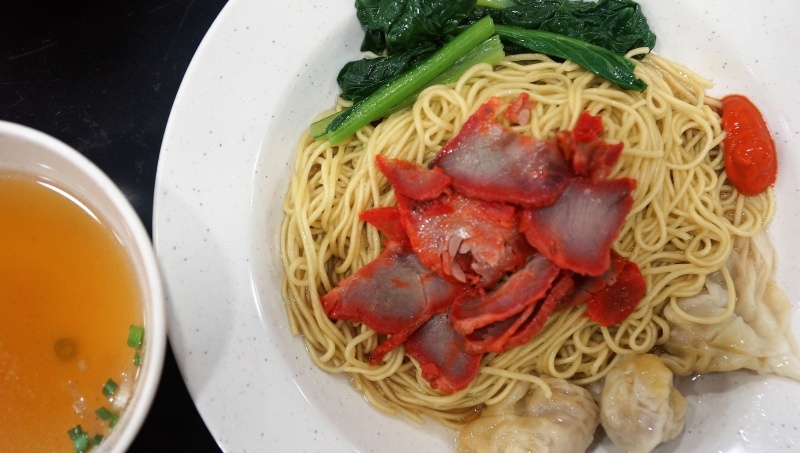 Engs Char Siew Wanton Mee is a new establishment followed the split from the original setup. Started from a food stall at Dunman Food Centre in the ’70s, the owner and late Mr Ng Ba Eng expanded the business to a restaurant along Tanjong Katong Road with a new partnership, since Mr Ng passed away, the son took over the business but the partnership hits a snag and it went separate way with the son setting up a rival shop right across the original one. So it is now a war between the two Engs. 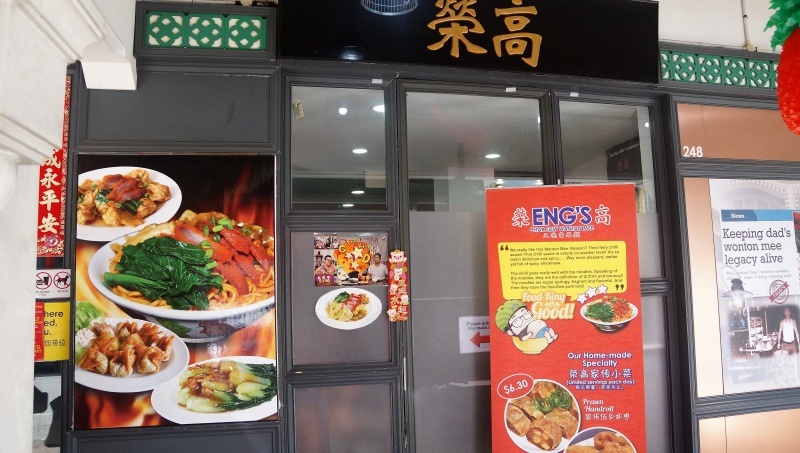 The original (Old) Engs Wanton Mee has expanded to several locations and the new Engs Char Siew Wanton Mee has started loading its own ammunition and going all out to fight the war. 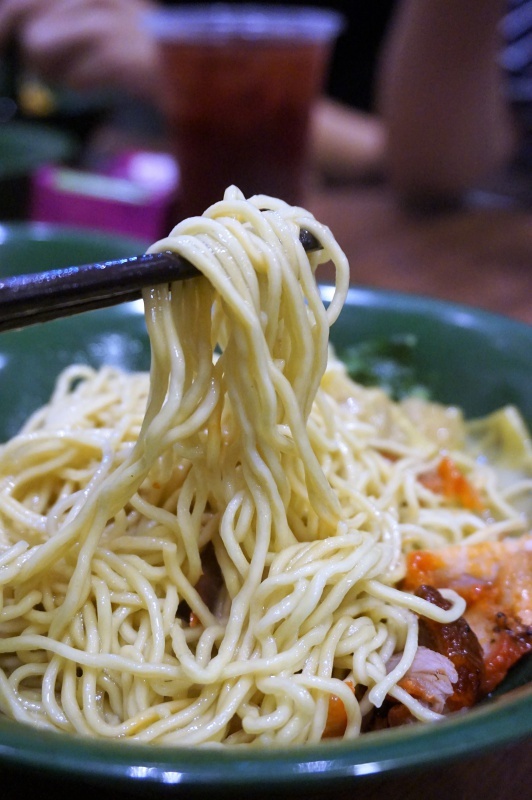 Both Engs have similar menu but wanton noodle continue playing the pivotal role in alluring the taste buds to their shop. 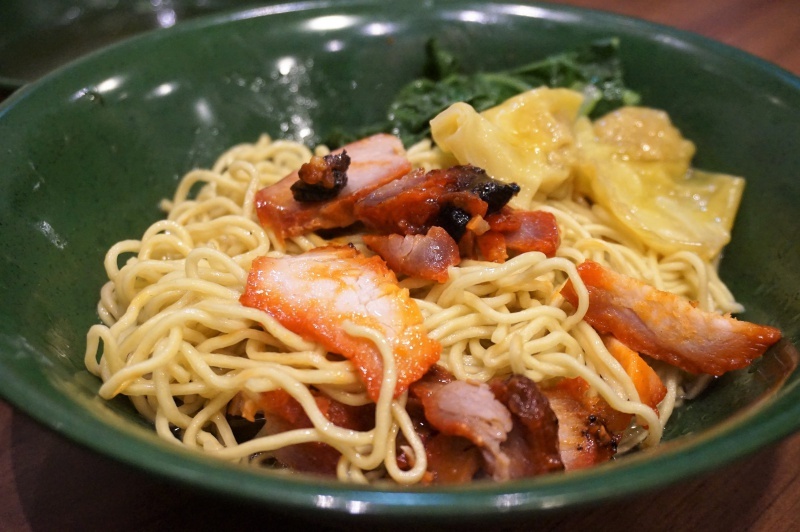 The new Eng (Eng’s Char Siew Wanton Mee) is set to challenge the old Eng (Engs Wantan Mee). So which is better? Compared the two, The texture of the noodle and flavour of the base sauce from the new Eng is somehow slightly less convincing in delivering the right taste that heeding to the original (Old) Eng’s flavour, perhaps it got to do with the amount of lard used when preparing the noodle, New Engs seems to be less generous with the lard may be for health reason but that somehow compromised the overall flavour. Noodle texture was not consistent as well, some plates were right on the spot but some were slight undercook, the Char siew and wanton were ordinary and nothing to highlight here and of course, you can add on the famous hot chili sauce to spice up the taste. We tried the Old Eng at one of its branches, the noodle texture was cooked perfectly with the fragrant seasoning and plenty of lard oil to lift up the bowl of flavourful wanton mee, it was a notch higher than the new Eng Char Siew Wanton Mee in most of the aspects, including the char siew slices and wanton, super hot chili sauce still available for those like to spice up the flavour further. 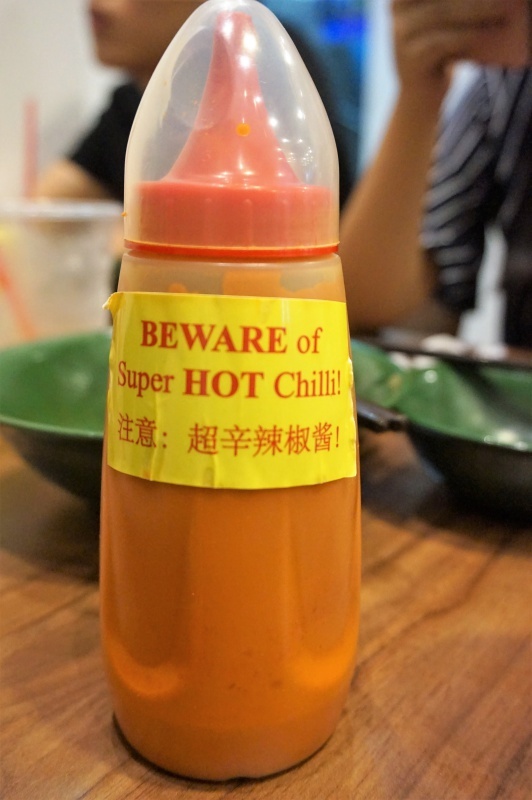 the Eng wanton saga will likely to heat up but It is clear to us at this juncture, the Old Eng (Engs Wantan Mee) is our prefer choice, be it the noodle texture or flavour, the old Eng somehow able to deliver the taste that is closer to the original version.